The 4th edition of SMARTER LIVES on February 20th 2018 was a huge success. 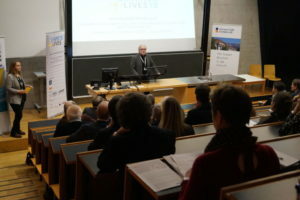 More than 120 persons came into the University of Innsbruck, to inform themselves as about the topic active and assisted living. Next to the exhibition, diverse contributions from speakers were held, covering insights from politics, business and research.